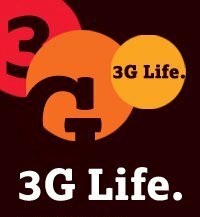 Tata DOCOMO, the GSM arm of Tata Teleservices Limited today announced that the Video Call and Data charges for its 3G mobile services (3G Life) in 9 telecom circles in India. Tata Docomo’s basic 3G Video Call charges will be 5p/second while the effective voice call cost will just 0.66 paisa per second (approx 40p/min with bundled offers). The 3G Data plan for prepaid users starts from Rs. 350 valid for 30 Days while post-paid 3G Life Plan starts from Rs. 500. All the 3G Life services plan comes with bundled tariff that include data, Voice and Video calls. For example with the monthly 3G Life Pack of Rs. 2000 the subscriber would get 5000 minutes for Voice / Video calls, along with High Speed Data usage of up to 2GB per month. All purchases and recharges of Tata Docomo 3G services done before 31 December 2010 will get an additional 100 MB of free data per month for the first two months, as an invitation offer. TTSL also announced High Speed Unlimited 3G Data Card Plan for Rs. 2,000 wherein subscriber would get 15 GB of data usage at a speed of 21.1 Mbps and beyond 15 GB would be free 3G with lower speed of 128 kbps. Tata Docomo 3G services available in all the nine Circles where it has the 3G license—Karnataka, Kerala, Madhya Pradesh-Chhattisgarh, Rajasthan, Gujarat, UP (West), Punjab, Haryana and Maharashtra-Goa. Small Screen 3G Life Tariff Plans: Anytime Anywhere Call and Data Usage Plans Tata DOCOMO’s Small Screen Plan works best for mobile phone users who need both 3G voice and high-speed data connectivity. The plan offers customers a combination of voice minutes and data usage, with simplicity & transparency in both PostPay and PrePay. Small Screen Plans—3G Data Top-ups : Tata DOCOMO is also offering basic data packs for customers who want to try out 3G, and for those who want to top up on their above plans, or wish not to take the bundled plans as described above. The Data Top Up of Rs. 200 comes with 200 MB while Rs. 500 will provide 650 MB free usage.These Top-ups have a validity of 30 days each.The Top-ups are available in both PostPay and PrePay, so customers can choose their payment preference. In addition, there is also a Top-up available only on Prepay for Rs. 90. This has 100 MB of 3G Data with a validity of 7 days and is offered as a trial pack. Worry-Free Unlimited Plans : The consumption of data on high-end devices such as Tablets is high, while voice usage is negligible. Keeping this in mind, some customers are concerned about exceeding data limits and incurring high spends. It is keeping this factor in mind that the Company is offering Worry-Free Unlimited Plans—for those customers who want to enjoy 3G connectivity at blazing-fast speeds without worrying about high bills. Tags: Tata Docomo 3G tariff plans, 3G life, Tatadocomo 3G plans, offers, validity, cost, telecomtalk, Tata Docomo, data plans, video call price, net price, speed, postpaid, prepaid, monthly plans.